Felo Werkzeugfabrik - Get to know us! 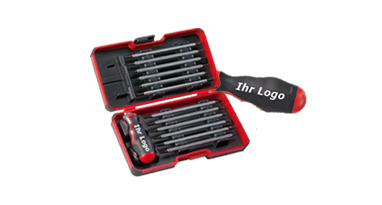 SMART exchangeable-blade screwdrivers: no-compromise professional quality and greatest versatility. 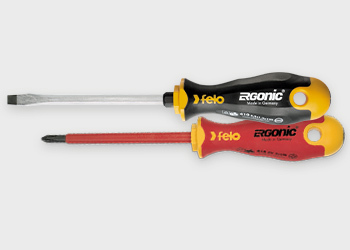 E-SLIM screwdrivers: slimmer and longer handles make them your ideal tools for electrical work, even in tight places. 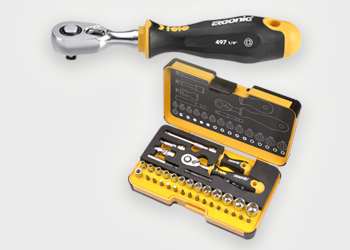 E-SMART is the first compact smart-tool for electricians. 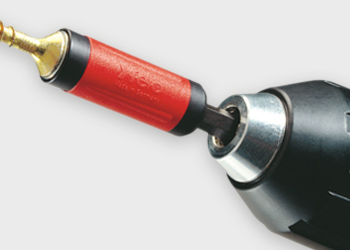 STAR bit holder, the professional tool for faster, safer and more economic work with all kinds of screws. 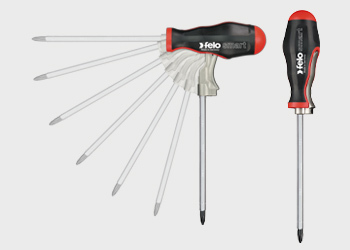 R-GO is FELO’s ergonomic and mobile tool set. 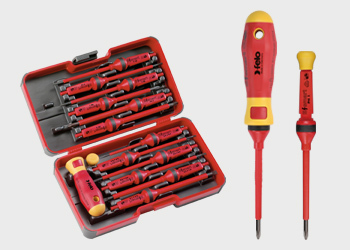 Based on a ratchet with unique ERGONIC handle the compact assortment is always on hand when good tools are needed. Values like flexibility and innovation as well as tradition are hallmarks of Felo. For more than 140 years we have fostered the culture of a mid-size family-owned business. 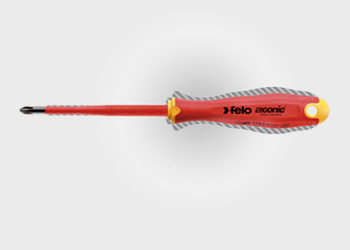 The history of Felo dates back to 1878 and the foundation of Hammermühle, a factory for forged tools. 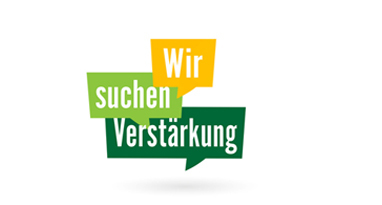 In 1950 the company was re-established as Felo-Werkzeugfabrik in Neustadt (Hesse). We manufacture products with your brand, according to your needs and specifications and constantly monitored by our quality control system.